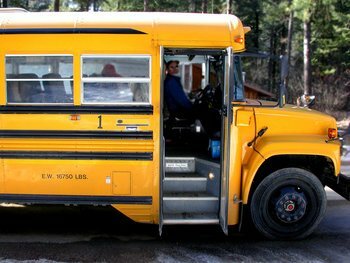 Union school bus drivers are set to strike starting Wednesday in NYC. NYC’s school bus drivers have been threatening for weeks to strike over a dispute over job protections in any new bus company contracts. The president of the Amalgamated Transit Union announced Monday that the strike will start Wednesday morning, affecting 152,000 students. More than 8,000 bus drivers and matrons will participate in the strike, said Michael Cordiello of Local 1181 of the Amalgamated Transit Union. Cordiello said, "Safely transporting our children back and forth school today has, and always will be, the top priority of every man and woman who make up ATU Local 1181." The city wants to cut costs for transportation by putting bus contracts out for bid with private bus companies. The union says that the current drivers with skills and experience could suddenly lose their jobs once their contracts are up in June if the new contracts are not with the companies they work for. The union is demanding job security or Employee Protection Provisions (EPP). "With its regrettable decision to strike, the union is abandoning 152,000 students and their families who rely on school bus service each day," Mayor Michael Bloomberg said in a statement. "As Chancellor (Dennis) Walcott and I have said, the City will take all steps available to ensure that those who are impacted have the support they need, and we are now activating the protocols we put in place in the event of a strike." "Let me be clear: the union's decision to strike has nothing to do with safety and everything to do with job protections that the City legally cannot include in its bus contracts," Bloomberg's statement said. "We hope that the union will reconsider its irresponsible and misguided decision to jeopardize our students' education." Wiith drivers' contracts set to expire on June 30, Bloomberg said the city must seek competitive bids that would save money. Cordiello refuted the idea that the EPP was not allowed, stating that the 2011 Court of Appeals ruling was based on the fact that the city did not offer the judges enough evidence supporting the notion that the EPP job security clause does not push up costs. The union president challenged the mayor's assertion that both sides in the labor dispute had been talking "all along," as well, claiming that Bloomberg and Walcott refused "to engage in any sort of productive dialogue" and had "forced our hand to strike." "You can teach someone to drive a school bus, but what happens when all hell breaks loose behind them?" she asked, explaining that it takes experience to deal with situations like bus breakdowns, medical emergencies of kids with special needs or traffic, when kids get frustrated or unruly. "The drivers we have now — I'd trust them with my own life," she said. The Associated Press reports that Dan Gatto, president of the local, puts the blame on Bloomberg. "For weeks now, City Hall has refused to discuss the job-killing provisions they are insisting on as part of new contracts with bus contractors," he said. "We urge Mayor Bloomberg and his administration to work with the ATU to resolve this dispute before a job action is required." Where Do I Begin Again??? Subject: LongIsland.com - Your Name sent you Article details of "NYC School Bus Strike Set to Begin Wednesday"